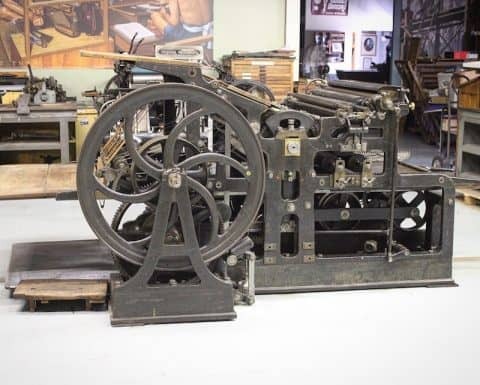 Featuring the Ernest A. Lindner Collection, the International Printing Museum (near Los Angeles) is one of largest repositories of working antique printing presses in the world. The collections and displays cover the full history of printing from the Chinese developments, Gutenberg, 19th century printing and typecasting, up to phototypesetting and modern printing. Overseas visitors are encouraged to contact Museum curator Mark Barbour by email for a personal, working, guided tour at any time!